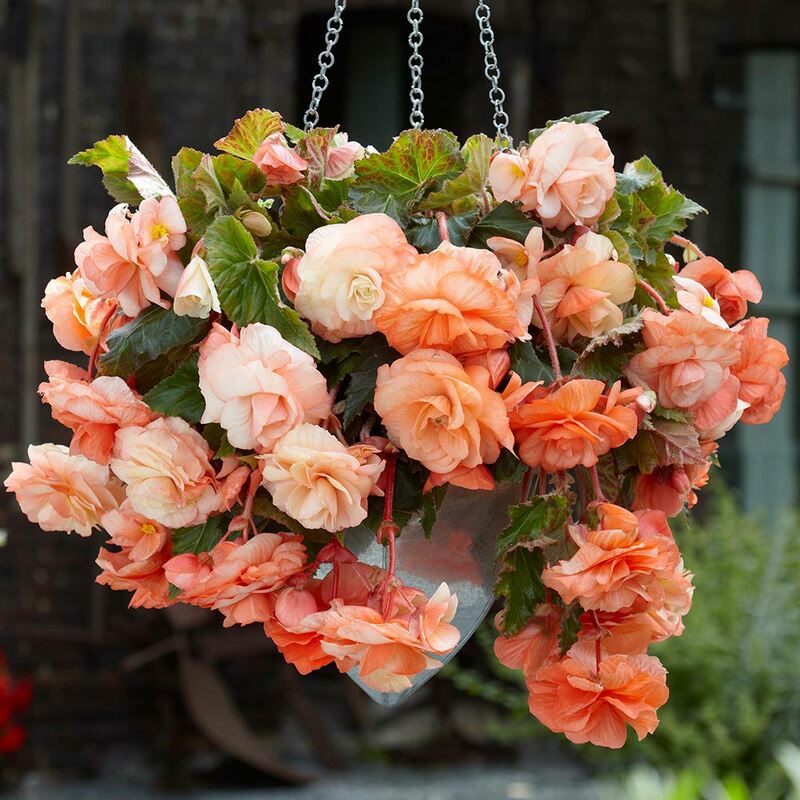 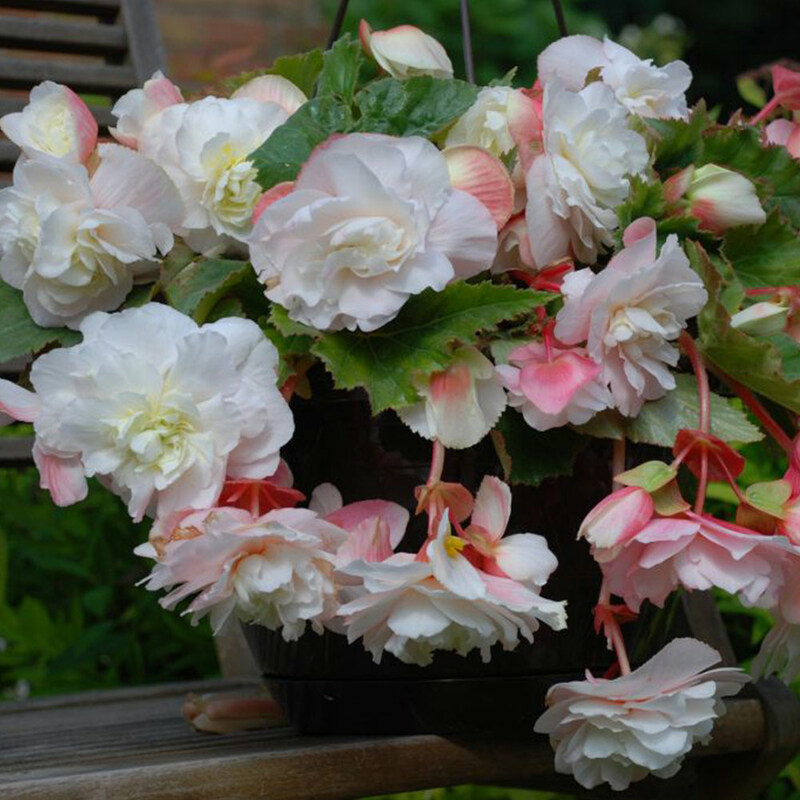 A collection that brings together four of our most gorgeous begonias. 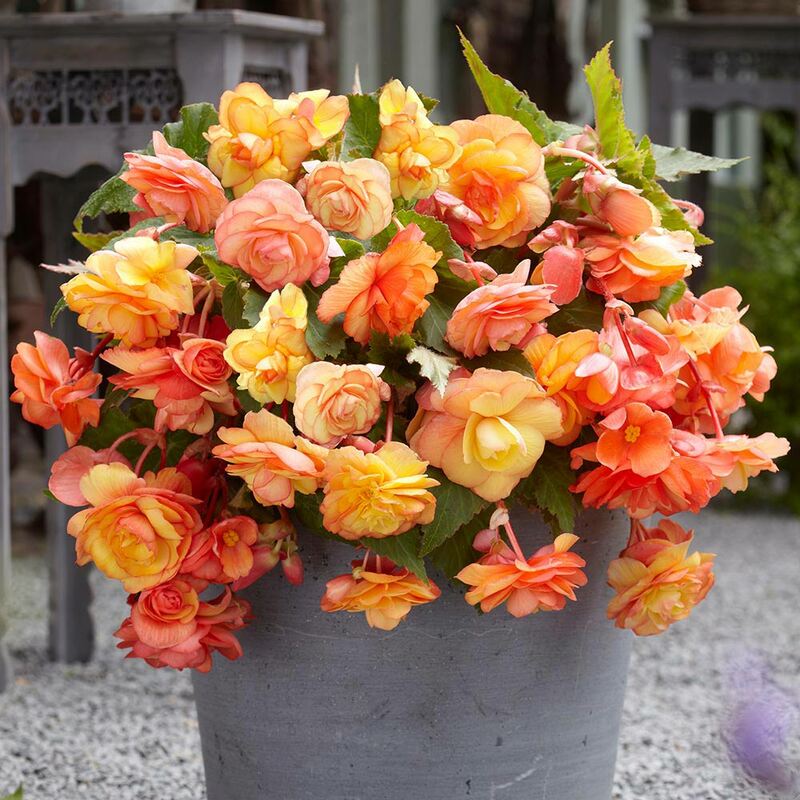 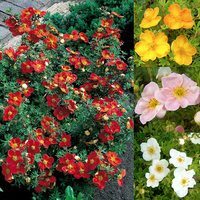 Each variety boasts large, double flowered blooms and a vigorous cascading habit that will produce excellent results featured in pots or baskets. The collection includes 3 each of Splendide Apricot (apricot/salmon shades), Ballerina (yellow-orange), Splendide Alifra (rosy pink) and Ice Maiden (white with hints of yellow and pink). 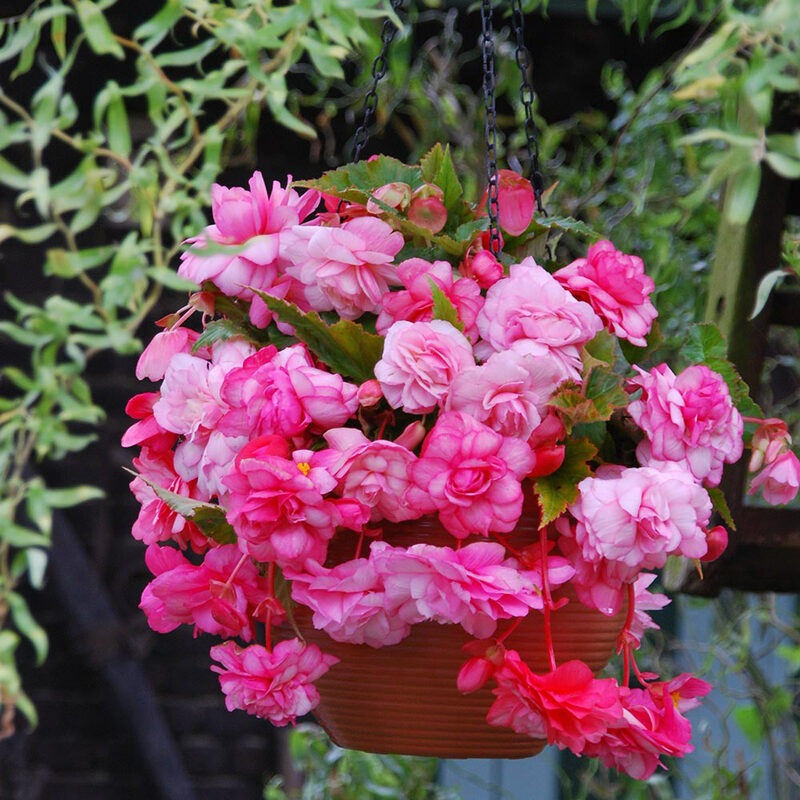 Don't forget you can lift and store the tubers over winter to be used year after year so they really are a great value choice. 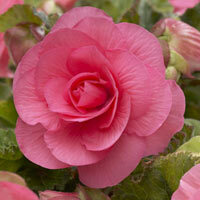 We recommend growing indoors first, and only planting outside once all frost has disappeared. 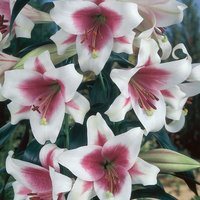 Flowering throughout the summer until the first frosts. 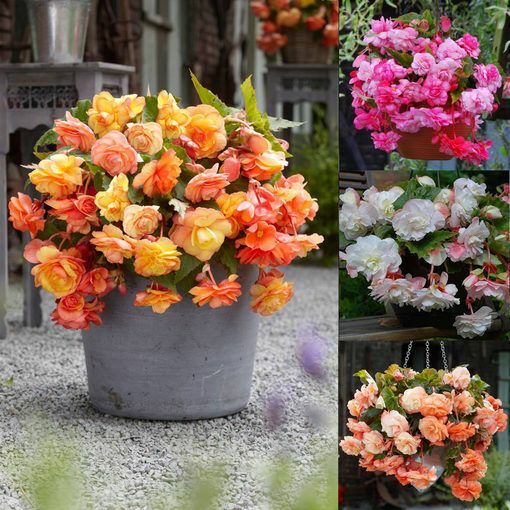 Height 20-35cm. 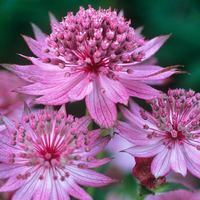 Top size exhibition 5-6cm tubers supplied.